President Rajendra Prasad visited the mela in 1953. Prime Minister Jawaharlal Nehru did so too. 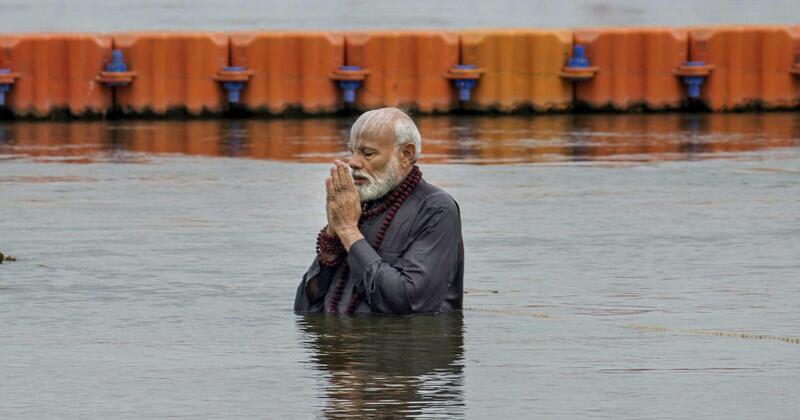 Prime Minister Narendra Modi took a dip in the Ganga as part of the ongoing Kumbh Mela in Prayagraj, Uttar Pradesh, on February 24. 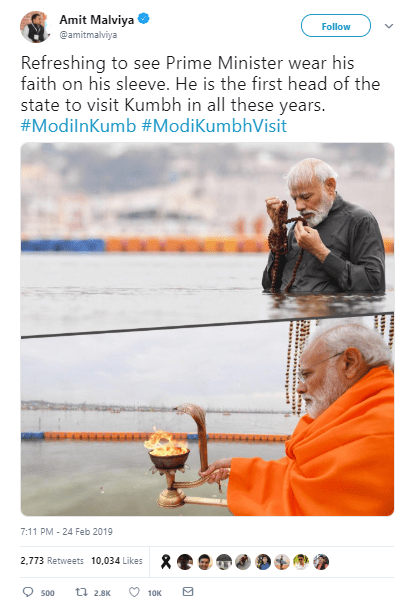 Soon after, Bharatiya Janata Party IT cell head Amit Malviya tweeted that Modi was the “first head of state to visit Kumbh in all these years”. Malviya’s claim is incorrect on two counts. First, the prime minister is not the head of the state. S/he is the leader of the cabinet of ministers and the head of the executive branch of the government. The president of India is the head of the state. Based on this, the first head of the state to visit Kumbh was the first Indian president Rajendra Prasad. Current president Ram Nath Kovind himself tweeted about this. 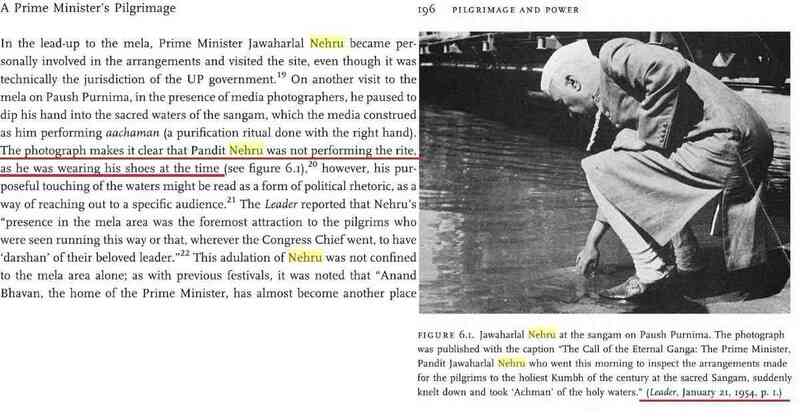 In addition to Nehru, Prime Minister Indira Gandhi also visited Kumbh in 1977. Journalist Tavleen Singh said that she present when Gandhi took a dip in the Ganges. This entry was posted in Kumbh and tagged Kumbh.